Published on 8 May 2014. 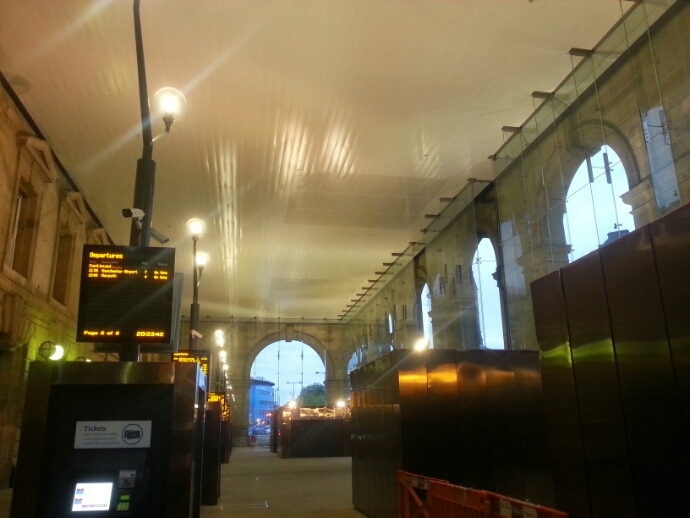 This is a terrible photograph of the newly glazed portico at Newcastle Central Station. It has turned out to be a really rather lovely space, transformed from a dingy taxi rank to a light and airy entrance way. Although the excessively large copper boxes containing the ticket machines do make it feel a touch claustrophobic at points and needlessly block sight lines. This 2,231st post was filed under: Photo-a-day 2014, Central Station, Newcastle-upon-Tyne, Rail.